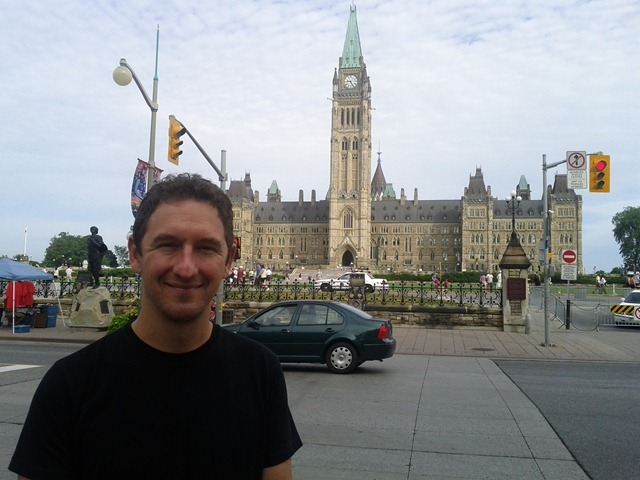 Last weekend I travelled to Ottawa for the third time in the last twelve months. On each of my visits, I’ve enjoyed the atmosphere of energy and engagement in the city. Things may not always move fast, but the people and organizations who have chosen Ottawa as a home are here for a reason. They see potential and they are working towards it. Our 2012 National EWB Conference will take place here in January and the primary purpose of my trip was to meet with Clement (the conference Chair) and the directors of the conference team. I am excited to be directly involved in the conference this year, serving as a link between the conference team and national office, as I know what an amazing impact EWB conferences have. I believe that having the conference in our nation’s capital greatly enhances it’s potential. 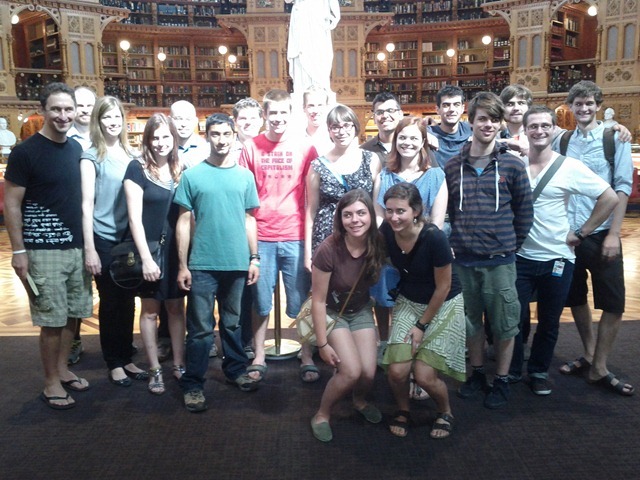 It was a happy coincidence that EWB’s advocacy team was running a Bootcamp in Ottawa on the weekend and I was able to join them for a tour of the parliament buildings. 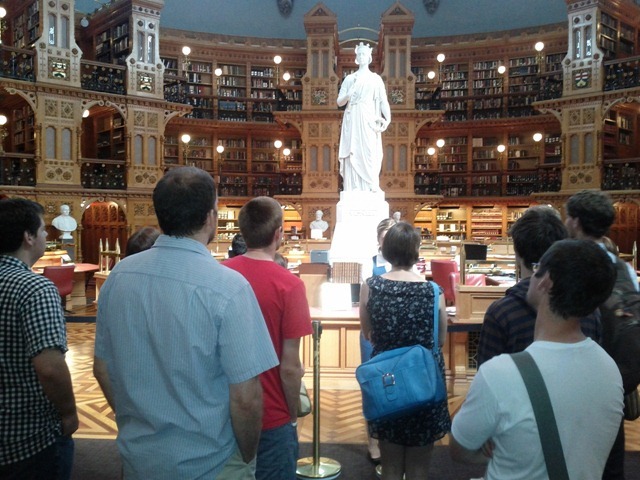 My favorite part of the tour was the library (pictured above), which is absolutely breathtaking. The Advocacy Bootcamp brought together chapter leaders from across Canada to sharpen their advocacy skills. In addition to joining the group for the tour of parliament, I also sat in on a session led by Ian Smillie, who is one of EWB’s favorite development experts and the author of several books including Freedom From Want. Ian shared his experiences as part of a team that advocated to put in place and enforce the Kimberlite Process, which is a global certification system intended to halt the traffic of ‘conflict diamonds.’ Given the global reach of this successful system, I was surprised to learn that the core team responsible for putting it in place consisted of only a handful of people armed with just a fax machine. I was also surprised to learn that the majority of the heavy lifting took place during the enforcement phase, which extended long after the more obvious goals of establishing the standards and securing initial agreements had been completed. Once again proving that it is all in the follow through! 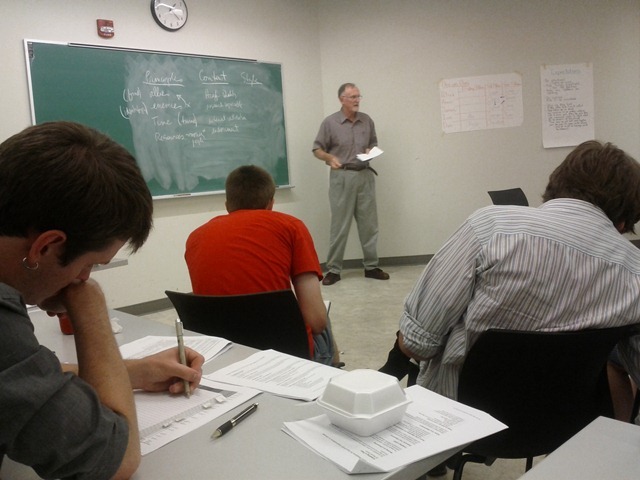 On the left above are the attendees of the Advocacy Bootcamp and on the right is Ian Smillie leading his session in a classroom at the University of Ottawa. Although I only had the opportunity to attend this one session, it was clear from what I saw and the feedback I heard from the attendees that the national office advocacy team (James, Ian, Erin and Duncan, who was the lead organizer of the bootcamp) did an amazing job. One of the unexpected highlights of the trip was MosAika, an impressive multi-media light show about Canadian history and identity projected onto the Parliament buildings at night (ongoing during the summer). 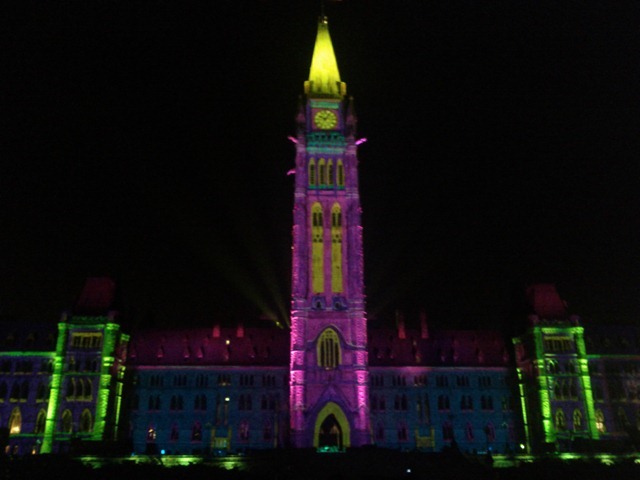 The picture on the right at the top of my blog post shows center block of the parliament building lit up by the light show. Before leaving for Ottawa last week, I had a chance to connect with the Pro Fellows who were in town for their final pre-departure training before going overseas for 4 months on the same type of placement that I embarked on exactly one year ago today. Chatting with this year’s group of six volunteers from across the country reminded me of how intense my pre-departure training had been. I am really excited for the experiences they are going to have over the next few months. We must not cease from exploration and the end of all our exploring will be to arrive where we began and to know the place for the first time. 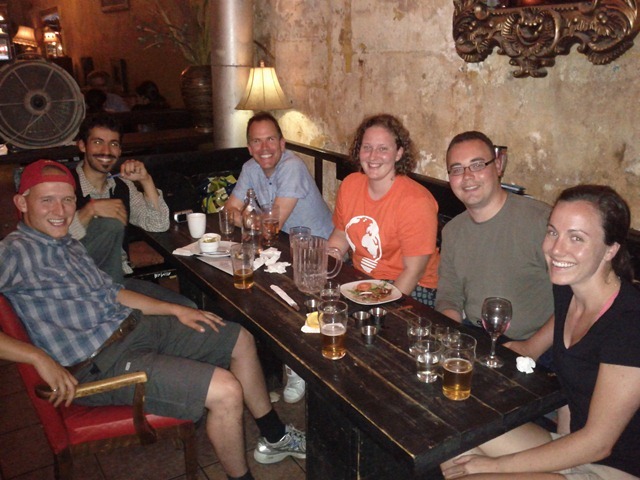 To Help Send Another EWB Volunteer To Africa.